World to the West is a charming adventure game made even more so on the Nintendo Switch. Playing a puzzle is a great way to kill time during a commute or any downtime. I even had to stifle myself a bit during one of my breaks at work when I was killed during one of the game’s challenging boss fights. 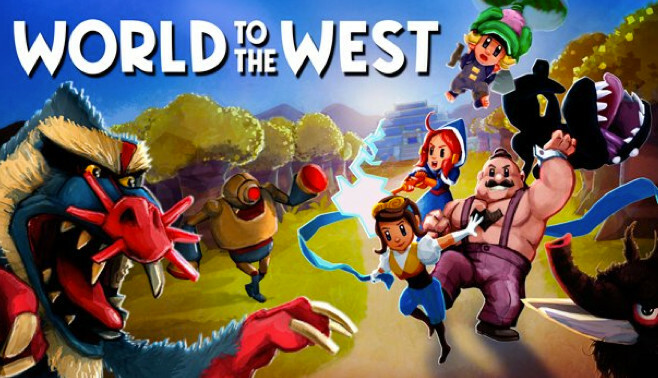 Even without the mobility, World to the West is a solid adventure. The game follows the adventures of four people: Lumina, Teri, Knaus, and Clonington. Their lives are completely different from each other; Lumina is a Teslamancer from another world, Teri is a seasoned explorer, Knaus is an optimistic orphan, and Clonington is a strange combination of brawler, artistocat, and as the name implies, a clone. Each character plays as differently as their personalities and backgrounds, which gives the game a lot of variety. For example, Knaus is able to dig and crawl into small holes, giving him access to areas that the other three characters can’t reach. On the other hand, Lumina can teleport, which gives her access to areas even Knaus can’t reach. Each chapter of the game only gives you access to one or two characters until the last one, so it was fun to backtrack to old areas to unlock extra goodies that weren’t accessible at first. 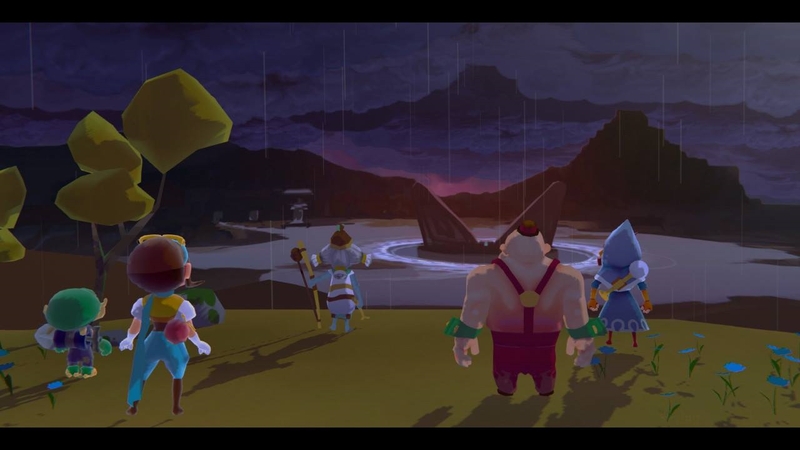 World to the West is a sprawling adventure game, comparable to an older Zelda game. You play each character from a top-down perspective with the ability to attack, use one of your special skills, and access the world map. At first, the game is pretty linear as you travel from dungeon to dungeon. 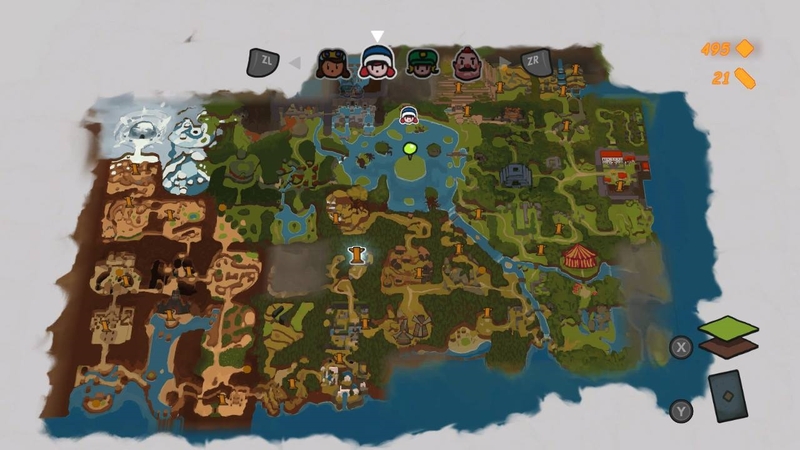 However, when the game opens up later on, you are able to explore the entire world. In order to do so, you need to utilize each characters’ talents. And this is the meat of the game, because the puzzles can be incredibly difficult to figure out. Experimentation of swapping characters is key. Of course, the game also features combat. Depending on who you play, you can be pretty powerful with high HP or very weak and require more tactics when fighting. For the most part, you can avoid many fights by running past enemies, though boss fights can be a bit tricky. Character swapping only happens at save points or for story purposes, but most of the time the appropriate character is made available for their specific boss fight. Meaning, you don’t have to worry about using Clonington in a fight that would be better fought with Knaus. An example of this would be an early boss fight with Lumina; the boss fight requires quick movement as the player dodges falling boulders. 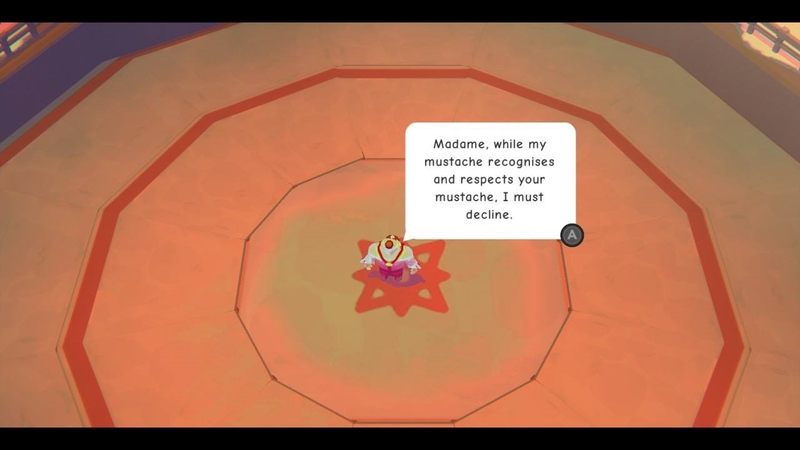 Lumina is the best-suited character for the job and the player is made to play as her. As mentioned, each chapter up until the last one focuses on one or two of the four characters at a time. As such, each character gets their own spotlight as they adventure all across the world. The story is as colorful and diverse as the cast, though it tends to lean on the lighter side. With its charming and cartoony graphics, each chapter felt more like a children’s cartoon you’d find on Cartoon Network these days. And since some of the chapters could be on the shorter side, as short as half an hour or less, the comparison isn’t too far-fetched. The format might be one of my few complaints about the game. World to the West truly opens up at the game’s 9th and final chapter. Though some of the cast have met each other by this point and chemistry has been established, several others do not know each other. The sense of camaraderie is sadly absent, which is more apparent with such a small cast. If maybe the game opened a chapter or two sooner, the lack of chemistry wouldn’t be such a problem. The music of World to the West is fantastic. There is just such a rawness to it, mostly since there are several tracks that are acoustic. It’s amazing how beautiful the tracks can be with only one or two instruments playing. Voice acting only exists in a few grunts and silly noises, but it fits with the goofy nature of the game. Clonington especially sounds like the cocky aristocrat beefcake he comes across as. In the end, World to the West took me maybe 10 hours or so. The shorter chapters actually work pretty great on the go, if you choose the Switch version. However, if you want to find all of the hidden health upgrades and unlockables, the game will take you much longer than that. The game had a few technical issues; certain areas had longer load times than others and I had to reset the game because my character became physically stuck and couldn’t move. But the issues aren’t too common and could be easily fixed in a future update. If you are familiar with Rain Games, you will recognize the game as a follow-up to their game Teslagrad. However, previous knowledge of that title is not necessary, as I did not play Teslagrad and enjoyed this game just fine. World to the West is a solid adventure available for $19.99 on the Nintendo Switch and Xbox One, $14.99 on Steam, and $24.99 on PlayStation 4. A review copy was provided by the developer.